The Government has today announced the organisations that will sit on the Executive Board of a new national body to tackle online harms in the UK. The Executive Board brings together expertise from a range of organisations in the tech industry, civil society and public sector. 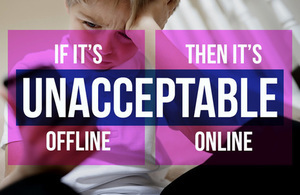 Only through collaborative action will the UK be the safest place to be online. 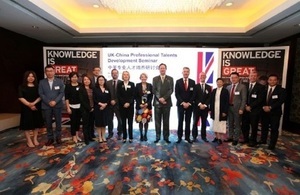 By bringing together a wealth of expertise from a wide range of fields, UKCIS can be an example to the world on how we can work together to face the challenges of the digital revolution in an effective and responsible way. UKCIS has been established to allow these organisations to collaborate and coordinate a UK-wide approach to online safety. It will contribute to the Government’s commitment to make the UK the safest place in the world to be online, and will help to inform the development of the forthcoming Online Harms White Paper. Priority areas of focus will include online harms experienced by children such as cyberbullying and sexual exploitation; radicalisation and extremism; violence against women and girls; hate crime and hate speech; and forms of discrimination against groups protected under the Equality Act, for example on the basis of disability or race. We are delighted to sit on the Executive Board of UKCIS where we are able to represent parents needs in keeping their children safe online. Online safety demands a collaborative approach and by bringing industry together we hope we can bring about real change and help everyone benefit from the opportunities the digital world has to offer. The UKCIS Executive Board is jointly chaired by Margot James, Minister for Digital and the Creative Industries (Department for Digital, Culture, Media and Sport); Victoria Atkins, Minister for Crime, Safeguarding and Vulnerability (Home Office); and Nadeem Zahawi, Minister for Children and Families (Department for Education). It also includes representatives from the Devolved Administrations of Scotland, Wales and Northern Ireland. Board membership will be kept under periodic review, to ensure it represents the full range of online harms that the government seeks to tackle. working with the RDI (UK) Holdings to create a Friendly Wifi logo, to allow parents and families to easily identify places where they can be sure that the public wifi has filtered inappropriate websites. publishing summaries of a large body of internet safety research. creating a guide for providers of social media and interactive services to encourage businesses to think about “safety by design” to help make their platforms safer for children and young people under 18 HTML version available here. creating a guide for parents and carers whose children are using social media including practical tips about the use of safety and privacy features on apps and platforms. creating the Education for a Connected World framework which describes the digital knowledge and skills that children and young people should have the opportunity to develop at different ages and stages of their lives.